Following my reporting residents’ complaints, I am pleased to advise that a series of potholes on Logie Avenue at its east end will be repaired this week. I was pleased, earlier this year, to be given an assurance that road resurfacing would happen. This work was slightly delayed, but has now been carried out. Last month, I updated residents that the very poor road surface in Hillcrest Road was, at last, to be resurfaced. “The works at Hillcrest Rd have been delayed due to a number of reasons. A combination of the poor weather experienced from April to date and unforeseen circumstance being experienced on a number of other jobs have prevented the works starting when planned. To exacerbate this, the closure for the works was for a fixed period of 5 days preventing us from simply moving the works back a week until the over running works were completed. In order to carry out the works we have had to apply for a new closure and to ensure there is flexibility to deal with any future unforeseen circumstance a full flexible closure has been applied for. Unfortunately this process takes 6 weeks to promote, with the works now programmed to commence 4th July 2012. Signs will be placed to inform the residents that the works have been delayed due to unforeseen circumstances. I apologise for the inconvenience this may have caused residents. I asked that the promised signage to update residents be placed as soon as possible (as residents were avoiding parking outside their homes expecting works to start imminently) and was given a commitment by Tayside Contracts that this would be done yesterday. It is obviously disappointing that the work has been slightly delayed but we will undoubtedly see a much better road surface in Hillcrest Road by early July. 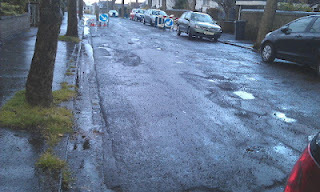 I have welcomed news that several roads in the West End Ward including Abbotsford Street, Westgrove Avenue, Colinton Place, Loganlee Terrace and Pentland Crescent are to be resurfaced next month. The condition of these local roads are in poor shape and resurfacing of them to a good standard will be welcomed by local residents. I am continuing to campaign for improvements for several other local roads including Hillcrest Road, which is in an extremely poor condition. 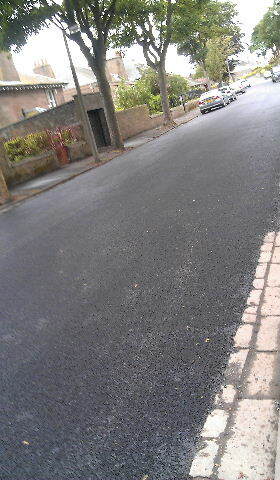 I have asked for it to be included in the 2012/13 roads resurfacing programme. 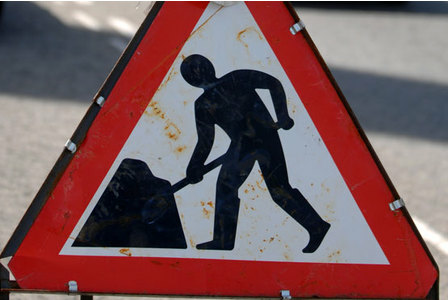 The work on Abbotsford Street, Westgrove Avenue, Colinton Place, Loganlee Terrace and Pentland Crescent will be undertaken in the week commencing 16th April – the resurface work takes approximately one day to apply and traffic is managed by a stop/go system during the work. The City Council has advised me that it has processed Orders for pothole repairs in both Hillcrest Road and Marchfield Road, following my passing on residents’ concerns. The road condition in Hillcrest Road is particularly poor and I have asked the Roads Maintenance Partnership to consider full road reinstatement works here. 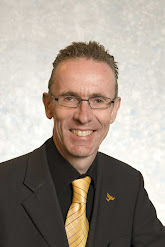 Dundee City Council propose to make an Order under Section 14(1) of the Road Traffic Regulation Act 1984 for the purpose of facilitating new road construction works. The Order is expected to be in force for seven days from 29 November 2010. Its maximum duration in terms of the Act is eighteen months. The effect of the Order is to prohibit temporarily all vehicular traffic in Hillside Road between Hillside Terrace and Hillside Drive.Pedestrian thoroughfare and vehicular access to premises will be maintained where possible. An alternative route will be available via Hillside Terrace and Hillside Drive.Please forward any comments you may have regarding this proposal to the Network Management Team, City Development Department, Tayside House, Crichton Street, Dundee, no later than five working days prior to the commencement date. If you have any queries please call 433168.